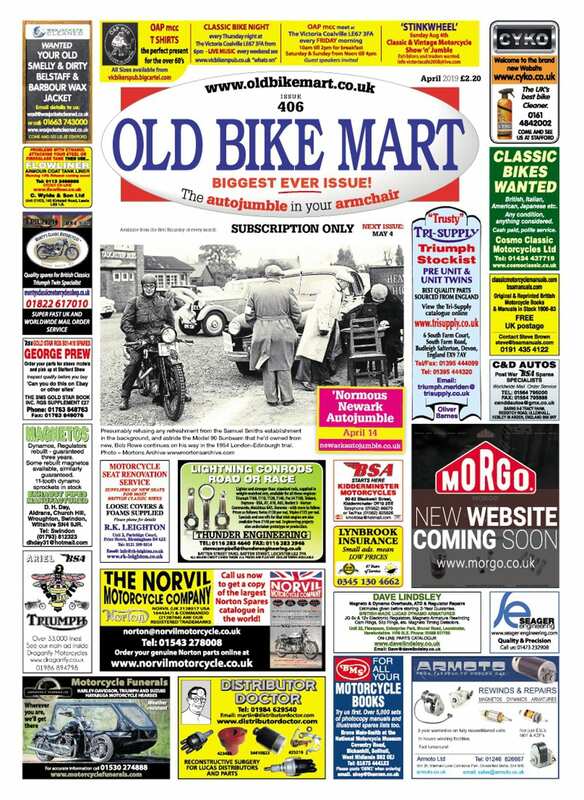 John Edwards tells the story of a Triton dream – with a Norton Dominator rolling chassis that cost £16 and an engine from a 1953 sprung-hub Triumph Tiger 100 whose owner parted with the whole bike for a fiver! 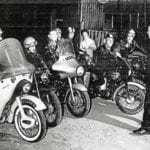 As a coffee-bar cowboy in the early Sixties, I loved the look of the BSA Gold Stars and the Triton specials. However, I wasn’t so enamoured that I was prepared to part with my beloved Matchless G12CSR in order to get hold of either one. I had ridden a couple of ‘Goldies’, and although they were superb machines, I never wanted one myself. To me, they were too much of a racer, not suited for long-distance road trips. 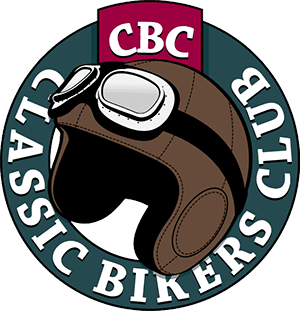 In those coffee-bar days one of our gang, Johnny Thompson, had let me ride his very standard-looking 500cc Norton Dominator and I’d been immensely impressed. Irrespective of its capacity, it was one of the most delightfully smooth, willing and rapid motorcycles I ever rode. This was possibly because Johnny’s dad, Gordon, who had built the engine, ran a much-respected local engine tuning business. 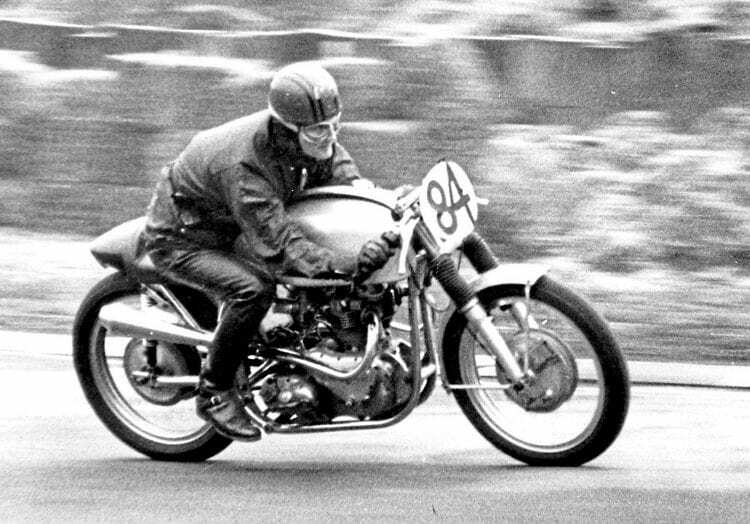 On a borrowed Triton, John gets down to it at a Brands Hatch track day in 1969. 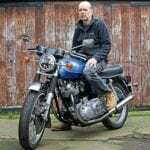 When later circumstances – more money and a rented lock-up – allowed me the luxury of owning several bikes, I remembered Johnny’s bike and decided to build myself a 500cc Triton, aiming for a similar gem. If I could locate one, I hoped to use Triumph’s lovely 1950s all-alloy motor. 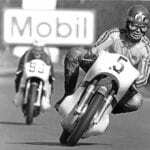 The build started in the autumn of 1963 with a 1960 Norton rolling chassis with, as I recall, a red frame. Interestingly, this colour was the one introduced by Norton’s paint shop without official sanction in 1957 for the ‘99’ Dominators destined for the American market. The experiment was such a success that eventually some red Dommies appeared on the British market as well, and this apparently was one such example. 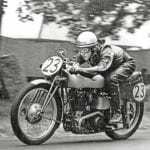 The rolling chassis cost me £16 and the engine was from a 1953 sprung-hub Triumph T100 that had been advertised locally as a ‘non-runner’ with clutch problems. Read more in the August 2018 issue of OBM – on sale now! Previous Post:Reliving the past – four times over! 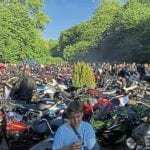 Next Post:Bikes and bits in every nook and cranny!